It might seem like all the hard work is done: You’ve determined that you want to buy a house, have the funds, and are prepped and ready to apply for a mortgage. Now comes the fun part of touring houses for sale and picking out your favorite one. 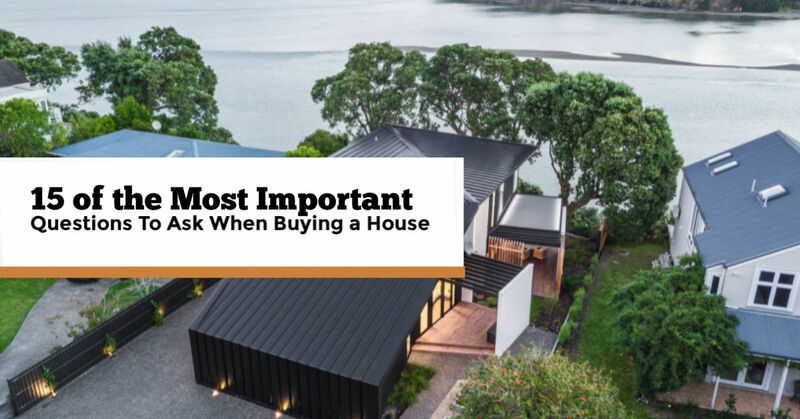 But before you fall too much in love with that stately old home with the wrap-around porch, there are some key questions to ask when buying a house that you must not overlook. Virtually every house will have something that comes up during the inspection, from a minor adjustment that is required to a major structural issue. It’s critical to know these things before you close on the property. Failing to look into these issues can leave you unhappy and cash-strapped in your new home. How old are the major appliances in the house, such as the heating and air conditioning systems, water heater, kitchen appliances, etc. You might want a fixer-upper because of your budget or because you enjoy doing weekend projects, but can you afford to replace major appliances? Before you make an offer on a house, find out the age for each piece of major equipment. 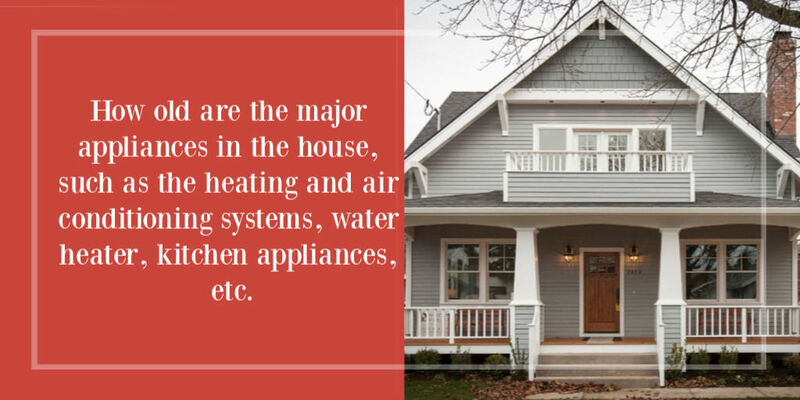 Older houses often have older –sometimes original –equipment such as the furnace, air conditioner or water heater. Those replacements can be very costly and you’ll want to take that into consideration. Also, check the age of major kitchen appliances for the same reason. By the way, even if the water heater isn’t old, be sure that you check the size of the heater: Not having enough hot water for the family to shower can be a rude awakening. Have there been any major renovations and when were they done. One of the key questions to ask when buying a house is what kind of work has been done to the house and if it was done legally. Watch enough home renovation shoes and you’ll see that new homeowners frequently find that modifications were not made legally or are not up to code and they later bear the financial burden of upgrades or even removal. You don’t want to find out that the new family room addition has to be torn down after you move in! Are warranties and receipts available for renovations and new appliances? Ask for the paperwork on recent renovations and newly installed appliances. These will be valuable if something were to go wrong. In many cases, warranties can cover unexpected service calls even after you take over as a new owner. 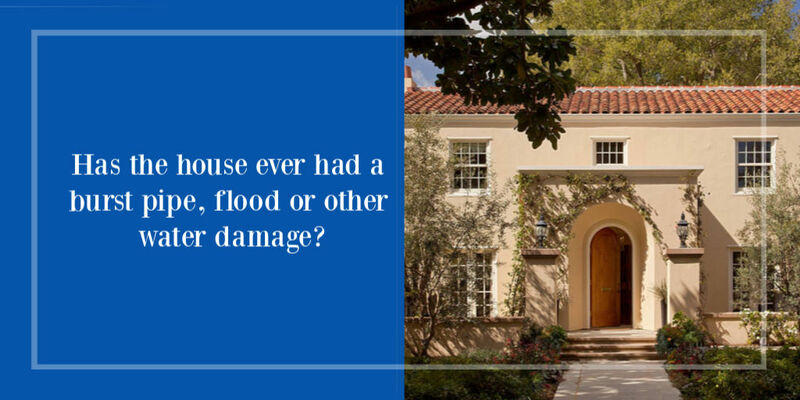 Has the house ever had a burst pipe, flood or other water damage? You’ll want to know if the basement is subject to flooding, or if there have been problems with pipes bursting or other types of water damage. In fact, according to the insurance industry, burst pipes are one of the most common types of claims. These can indicate an underlying structural issue or lack of adequate insulation that your inspector will need to check. Also, previous water damage can identify areas that should be checked for mold. While this is something that a home inspector will certainly check, it’s definitely one of the main questions to ask when buying a house before you make an offer on the property. A typical asphalt shingle roof lasts 15 to 20 years. Replacing a roof is one of the more costly things to do to a home and, depending on the size of the house, can easily exceed $10,000. 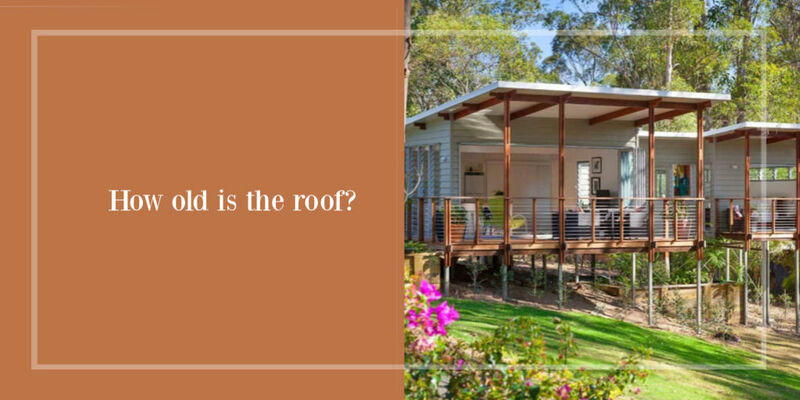 Also, what material is used on the roof? A shake shingle or concrete tile roof lasts longer but is far more costly to replace. What kind of foundation does the house have? If the home does not have a basement, does it have a raised foundation? Both of these allow easy access to plumbing and electrical conduits. In some areas of the country, slab foundations are often found in new construction. If that’s the case, you’ll want to know what was on the land before the house was built. If the land is very wet or was previously a wetland, dampness might become an issue and your inspector should know this. Does the home have a septic tank? If the home you want to buy is not in an urban area, it might have a septic tank instead of being attached to municipal services. If it does have one, then you need to know the last time it was pumped. Ideally, this is something that should be done every three to five years. The frequency of pumping also depends on the number of people living in the house: A larger family means more frequent pumping. A typical pumping service will cost about $300. 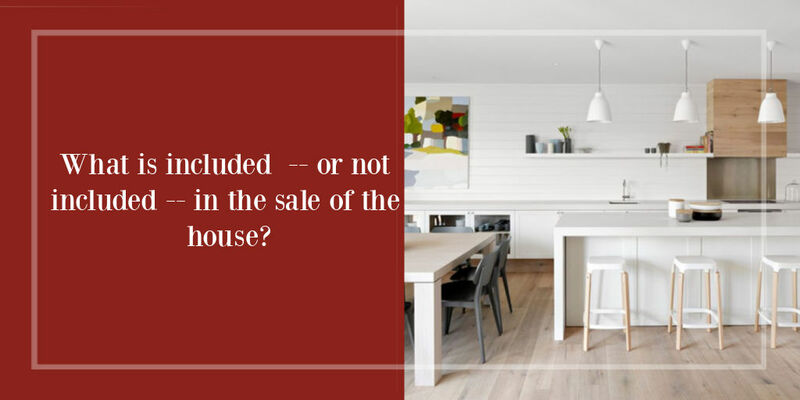 What is included — or not included — in the sale of the house? This is often one of the overlooked questions to ask when buying a house. What looks like built-in shelving might not be and that stunning chandelier over the dining room table that you love might be a piece that will move out with the current owners. You’ll want to have everything spelled out in the contract with regard to items that are included with the sale of the house as well as any that are not. This helps avoid surprises on move-in day, like arriving to find that all the blinds and window treatments have been removed. How many different owners have there been? You will want to know why the current homeowners are moving as well as how many different people have owned the house. Old homes may have a long list of owners, but if a newer house has changed hands many times, it could potentially signal a problem with the house or neighborhood. 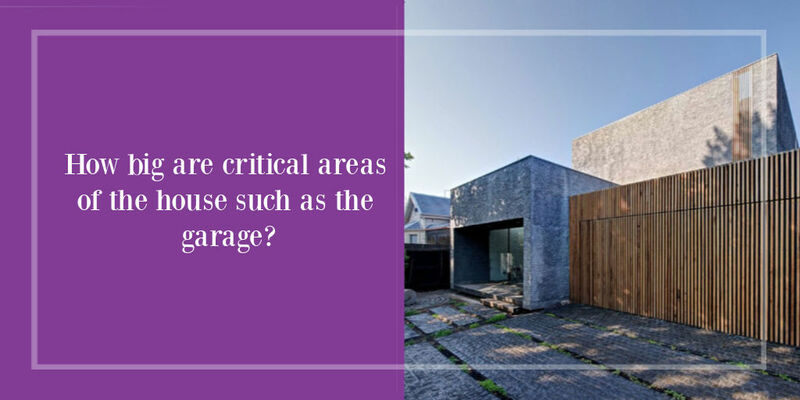 How big are critical areas of the house such as the garage? Have a pool table? Will it fit around the corner to go down into the basement man cave you have planned? How about that large sofa you want to put in the upstairs master bedroom? Even more important, will your large SUV, pick-up truck or van fit into the garage? These are some common unhappy surprises people find when they move into a new home. Avoid them by adding it to your list of questions to ask when buying a house measuring the spaces before you buy. Has anything negative happened in the house? This is one of the major questions to ask when buying a house — and one of the questions that no one really wants to ask: Was someone murdered here? Has the home been used as a drug house? Has there ever been a fire or damage from a bad storm? Some states require home sellers to disclose these things while others don’t. Be sure to ask. It’s also a good idea to ask the agent if there is anything about the house that he or she would want to know before they moved it. Take a good look around the neighborhood. What is next door and down the street? Is there a store behind the fence or is a large apartment complex on a bordering street? Drive around and check out the area. Is it particularly busy or noisy? Make sure that you visit at various times of day to get an idea of the noise and activity levels in the neighborhood. Also, keep in mind that certain types of businesses can affect the value of your property: Industrial businesses, dry cleaners, restaurants – all of these can emit bothersome smells or use chemicals that can be toxic. 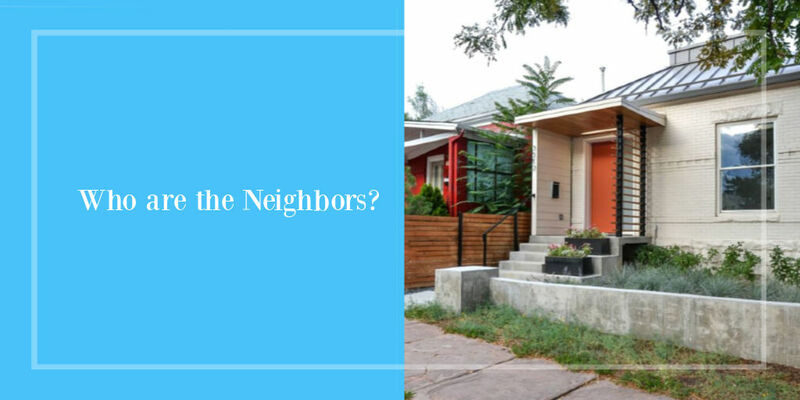 Speaking of the neighborhood, you’ll want to know who your neighbors will be when you buy a new home. This is another thing to check when you visit the neighborhood. Are the neighboring properties well-cared for? Are there lots of toys in the yard? This likely signals younger children. Numerous cars in the driveway? Perhaps there are older teenagers living there. Do the neighbors have dogs? Do they bark frequently or loudly? These factors can affect the noise level and perhaps your level of happiness in the new home. What is the local school system like? Schools are an extremely important item to consider when buying a home – even if you don’t have children. When it’s time for resale any potential buyers with children will want to know about the local schools. Quality of the school system is one of the key questions to ask when buying a house anywhere. Can I afford any modifications that need to be made in order for me to be happy in the home? Look past the cute front porch and the floor plan that you love, and consider the whole package. 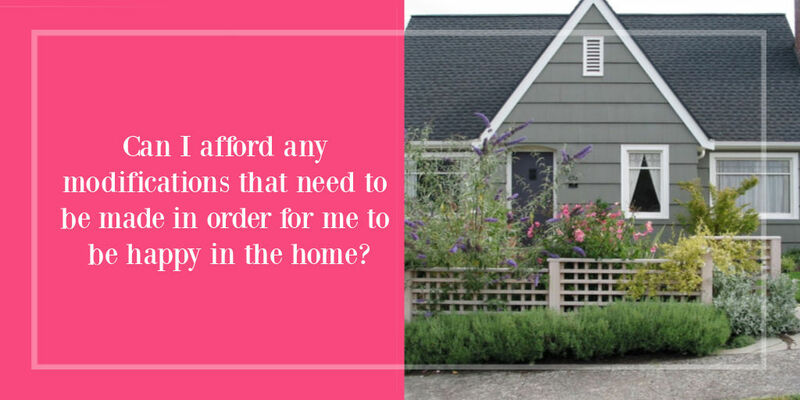 If the house needs repairs or if there are things you’d like to change, can you afford to make them within a reasonable timeframe? Can you live with the things you don’t care for? If you’re going to be miserable in the new place until the changes are made and don’t have the funds to do so right away, look for another property. Our list of questions to ask when buying a house may not be exhaustive but it covers the major issues that frequently arise with home sales. It could be that one of these topics will lead you down a path to more questions. The most important thing to remember is never to shy away from asking. You’re making one of the largest purchases of your life and you deserve the answers. The post 15 of the Most Important Questions To Ask When Buying a House appeared first on Home Decorating Trends – Homedit.